WordPress 4.2 Powell was released last week with little fanfare and some anxiety. The version is named for jazz piano legend Bud Powell, and it started almost as much commotion as Powell experienced in his life. More on that soon. The folks at WordPress’ parent company, Automattic, chose to make a video about the Powell version, something they do for all named versions, except for the most recent, Dinah. Why Dinah Washington didn’t rate her own video remains a mystery. Perhaps they thought her vocalizing might interrupt the narration. The notable thing about the Powell video, though, is that it’s narrated by a woman, so at least that’s something. Bud Powell was raised Harlem, NYC during the Harlem Renaissance. He played with some of the giants of jazz including Thelonius Monk, Charlie Parker and Dizzy Gillespie as well as his greatest influence, Art Tatum. With friends like that, Powell’s future appeared bright. At the age of twenty however, a drunken Powell was beaten by railroad police and was then hospitalized in a psychiatric hospital for months. That experience foreshadowed events to come. Powell returned to the New York scene and became known for his percussive punctuation, as well as his need for speed, showing the influence of Parker and other modern horn players. But his success was impaired by more alcohol-induced fights, leading to more hospitalizations and treatment, such as electroconvulsive therapy. After that he was emotionally unstable for the rest of his life. But he could still play. Here’s a video of Powell with Kenny Clark and Clark Terry shot in Paris in 1959. Dig it. 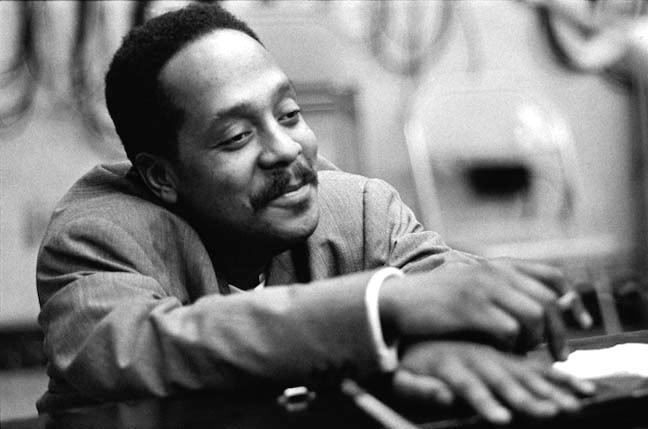 Here are a few quotes by other other musicians about Bud Powell. Bud Powell continued to play in New York and Paris even though his mental and physical health suffered. On July 31, 1966, he died of tuberculosis, malnutrition, and alcoholism. The release of WordPress 4.2 is not quite as tragic Bud Powell’s life, but its debut did drive a few bloggers crazy. The WordPress Helpers quickly complained that 4.2 breaks the way you use title tags to show links on posts. In the Link Box, the “Title” is now called “Link Text” and it autofills the words you select in the Editor. This may not seem like a problem since the Link Text can be changed. It’s kind of nice to have it auto filled. But changing the Link Text also changes the text being linked to. WordPress 4.2 is supposed to auto-activate plugins upon installation, saving you the step of clicking “Back to Plugins.” But, after upgrading, I still get the Activate Plugins page, so that’s a bit confusing. Jaff Yablon, in LinkIn Pulse, says that it’s critical to not only backup before updating WordPress, but also before updating plugins. Here are my beefs: The keystrokes for creating Header tags are gone! I can’t hit Command>2 to make selected text an H2 tag. When I try it makes the page jump. Gahhh! And, the Revisions editor is not working, either. It will autosave text, but it won’t replace the saved version I’m attempting to replace. I had to copy and past the coded text back into the Editor. Hmmmmm. Again, not as critical as Bud Powell’s issues, but problematic nonetheless. WordPress 4.2 features a newly-improved app that allows you to share content on your blog from anywhere. On your desktop, click Press This to post to your blog. On a phone, paste a link and WordPress does the rest. This feature is clearly for bloggers who like to throw anything and sundry at their blog. Not exactly for professionals. Changing the language is easier in WordPress 4.2. All Han characters are now supported, which is great. Can find the words to express yourself? Emojis are supported in WordPress 4.2. Kids are gonna love that. When you paste a link from Tumbler or Kickstarter, it appears in the Edit box as it does on the front end. Hooray! Maybe I’ll have a use for that feature someday. Now you can review and customize your theme in the WordPress Customizer. For something one rarely does, this is hardly big deal. I’ve never warmed to the Customizer, since it doesn’t do much for self-hosted sites. Yawn. No more Activate page when you hit Update Plugin. Once you update, there’s no going back. That’s what’s supposed to happen anyway. I’m certain there are security upgrades under the hood of WordPress 4.2, and that’s always a good thing. But overall, does this version live up to the virtuosity of Bud Powell? Maybe the new multi-lingual features live up to the WordPress 4.2 slogan, “Communicate and share, globally,” but I think the rest is meant to appeal to younger bloggers and the impatient. What do you think of WordPress 4.2? Is it working for you? Any complaints? Please do tell.